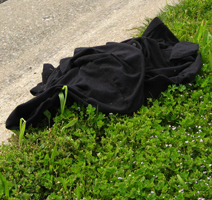 Besides being a huge eyesore, nothing makes me madder than seeing usable clothing and household goods dumped in the environment. 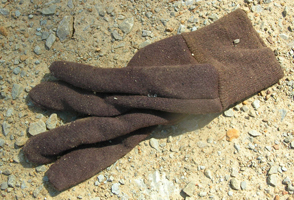 My mother always gave our used household goods to a family less fortunate than our family. 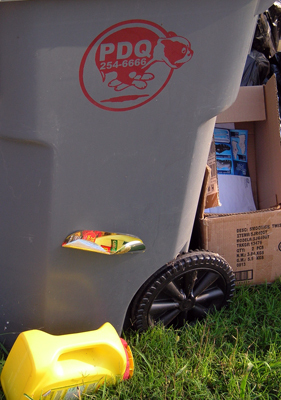 We give our discarded clothing and household items to Goodwill. In this economy, I am saddened to see such a waste. Hey, I could have used the plastic coat hangers. Levi Strauss & Co. and Goodwill are working together on a new initiative to save billions of pounds of unwanted clothes and put them to good use. 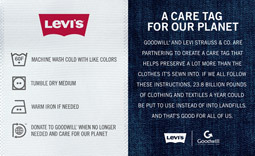 In “A Care Tag for Our Planet,” the product care tags on Levi’s clothing in the U.S. will include messaging encouraging people to donate their unwanted clothing, with the project expanding to global markets in fall 2010. 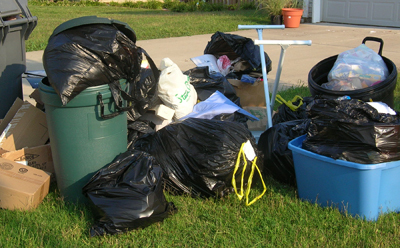 According to Goodwill, about 23.8 billion pounds of clothing end up in U.S. landfills each year. Currently, 166 community-based Goodwill organizations in the U.S. and Canada divert more than 1.5 billion pounds of clothing and textiles a year from landfills and, in the process, create job-training opportunities for more than 1.5 million people annually. I’m in shock at this pile of stuff. Why is there an upside down ironing board in the stack? Couldn’t that go to Goodwill? Plus, look at what could have been recycled!